WHERE SHORT WALKS REPLACE LONG COMMUTES AND YOU HAVE HUNDREDS OF STORES IN YOUR BACKYARD. HERE URBAN CHIC MEETS SUGAR HOUSE LIFESTYLE. Move into one of the most urban, walkable neighborhoods in Salt Lake City and take advantage of a neighborhood (and lifestyle) that can't be beat. 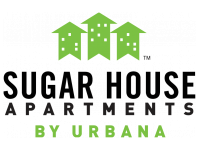 Sugar House offers an accessible location with everything you need within walking distance.